Not getting enough clicks from your emails? Don’t worry – you’re not alone. Keeping engagement rates high is a struggle for every digital marketer. And while we email marketers have it better than most of our peers, we’re still not off the hook. As an engagement metric, email click-through rates are particularly important. But don’t just take my word for it. In 2015, Ascend2 asked 300 marketers what they thought was the most useful metric for tracking email marketing results. 73% of them named click-through as #1. It even beat out conversion rate, though by a very narrow margin. Unfortunately, click-through rates also came in first for another category. The top email marketing challenges category. Yup. According to that same survey, low email click-through rates are the single biggest challenge email marketers face. If you’d like to get more clicks from your emails, keep reading. I’ll walk you through all the solutions mentioned in that graph and more. Along the way, we’ll show some examples, and give you a slew of ideas for how to boost your emails’ engagement rates – and your emails’ bottom-line results. But before we dive in, here are two more resources you might to keep for later. 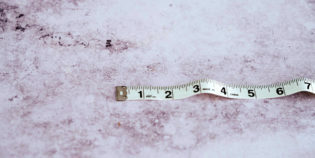 Email Marketing Metrics: Everything You Need to Know – this article goes deep into the topic of email analytics and explaining email marketing KPIs. Check it out if you want to learn which metrics are important for email campaign analysis as well as how they’re tracked and measured. Email Marketing Benchmarks – this report contains updated data on key email marketing statistics such as the average open rates and click-through rates across multiple industries and locations. Each table and chart is followed by an expert comment that’ll help you better decide which tactics to pursue in your future email marketing campaigns. 1. Put extra effort into your call to action. 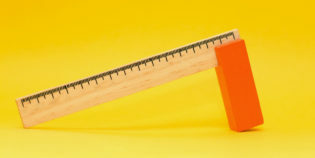 The call to action is really where the rubber meets the road for click-through rates. It’s typically where the click happens, after all. I could write you a whole ebook about how to craft a killer call to action, but let’s keep this simple. The call to action finishes this sentence: “I want you to…” Just don’t write it exactly that way. Calls to action typically perform better if you phrase them exactly the same way your subscriber would. So “Get my ebook” will do better than “Get your ebook”. Here’s an example of this from Content Verve’s ebook, 7 Universal Conversion Optimization Principles. Another way to boost a call to action is to create a “curiosity gap”. This is the copywriter’s version of a cliffhanger. Just make sure you don’t go too far… otherwise you’ll disappoint your subscribers when they click through. There’s a name for misleading curiosity gaps… it’s called clickbait. Segmenting your list is one of the most effective things you can do. Not just to increase click-through rates, but to improve your overall results. Why does it work? Because it lets you send more relevant emails to your subscribers. Say you’re a staffing agency. You’ve got two primary types of clients: Employers and people looking for work. If you send the same email to both those groups, they’ll each have to skip over information that isn’t relevant to them. That suppresses results – including click-through rate. But if you send out two emails – one specifically designed for employers and one specifically designed for workers – then you can deliver much more relevant, valuable information. And so your click-through rates will go up. There are many ways to segment a list. Here a few examples of how florists segment their lists to increase their sales for Valentine’s day campaigns. Image courtesy of The Email Experience Council. 3. Personalize your email messages. When most of us think of email personalization, we think of using somebody’s first name in the subject line. That’s a good start, but personalization goes far beyond that. Other ways to personalize include using dynamic content. Or using other information – job title, zip code, or purchase history – to create a custom email. Depending on your list, and how you apply the technique, any one of those personalization methods can result in significant increases in click-through rates. Only a bit more than half of the email marketers are using personalization techniques. 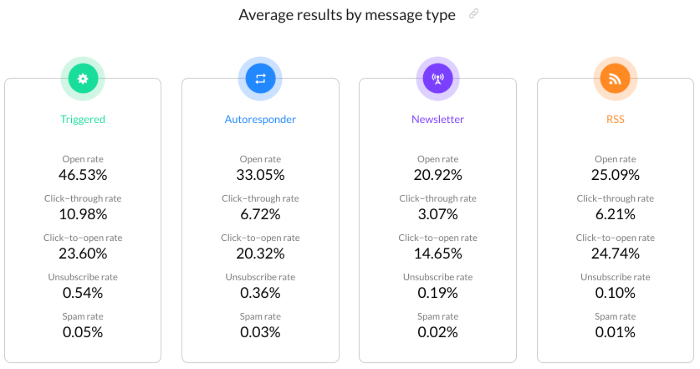 At the beginning of 2019, we’ve conducted a study on the impact of personalization in the email body on opens and clicks. We saw that on average, messages containing personalization scored higher in both of these metrics. The average open rates and click-through rates for personalized emails were 25.36% vs 21.84%, 4.18% vs 3.53%. Feel free to explore the report to see the latest email statistics and compare to the industry averages. 4. Make your emails mobile-friendly. You’ve heard the stat on mobile emails, right? More emails are opened on mobile devices than on desktops. And that’s been true for awhile. All you GetResponse users can breathe a sigh of relief – all GetResponse email templates are mobile-friendly. 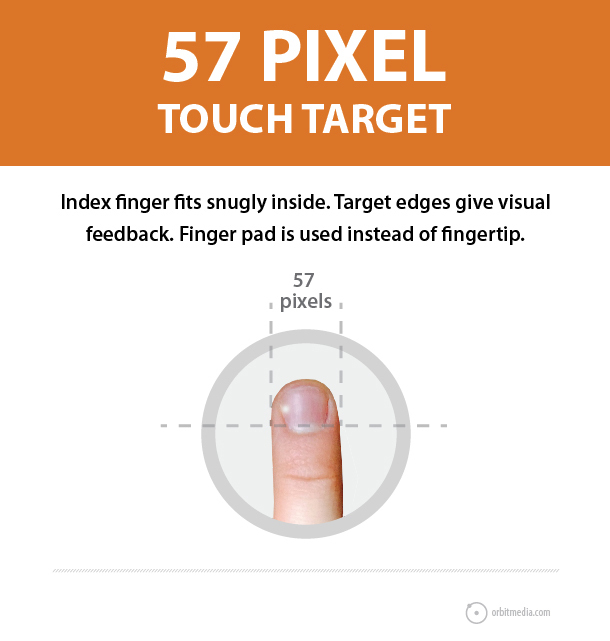 But you should still be aware of the fat fingers effect – especially if you want to increase click-through rates. The “fat fingers” effect is a cute way to describe how darn hard it can be to click on a link in an email that’s been delivered to a mobile device. So to allow for the small space (and how clumsily some of us click), make your buttons at least 44 x 44 pixels wide and tall. That’s Apple’s specification for the smallest size a “click target” should be. Other designers, like Orbit Media, recommend a mobile call to action should be at least 45 x 60 pixels. But you’re not done yet. Add another 10-20 pixels of extra space on all sides, just so people can’t accidentally click a nearby link. For text links, you can keep the type the same size. Just format the email so the text links aren’t too close to each other. Again, you don’t want people to try to click one link, then accidentally trigger another link. It gets annoying after a while. Pro tip: Making your emails mobile-friendly is especially important if your customers buy your products spontaneously or because they’re short on time. Think of valentine’s newsletter templates, for example. How annoying it would be, if you were in a hurry, and couldn’t click through the email to buy the gift online? 5. Use social media icons. A few years ago, GetResponse did a study of how social media icons affect click-through rates. The results were dramatic. Emails with social sharing buttons got 158% more clicks than emails without the sharing buttons. The study is a little dated now, but human behavior changes slowly. Having social media sharing buttons in your emails is definitely still a good idea. 6. Use triggered email campaigns. Triggered emails include autoresponders, confirmation emails, welcome emails, and transactional emails. These types of messages tend to get unusually high engagement rates overall, but they also get high click-through rates. The data comes from the Email Marketing Benchmarks report (Q3-Q4 2018), I mentioned before. So, how do they do it? Easy: They strike while the iron is hot. Triggered emails come right when a prospect is interested in your business. Because of that timing – and because they tend to be highly targeted – these emails perform extremely well. Despite their strong performance record, not many email marketers are using triggered emails. At least that’s what we found when we were researching our State of Email Marketing By Industry report. Only 18% of the marketers we surveyed are using triggered emails. That 18% is not all bad news. It means you have an opportunity to gain an edge on your competition… if you can add a few of these triggered messages to your email program. Flash sales create a sense of urgency. So do news pieces and limited-time offers. Countdown timers often work well, too. Here’s a countdown timer I made for free with MotionMail. As you can see, it works just fine with GetResponse. To make this timer, all I had to do was specify when the end time was and how I wanted the timer to look. Then I just pasted one line of code into a GetResponse email template. There are quite a few of these email countdown timers. One of the fancier ones is Outtatimr from Ryan Deiss. It costs $50, but Deiss says it’s increased his click-through rates by 134%. With results like that, even a free email countdown timer is worth a try. Mail too often, and your emails’ engagement rates will start to drop. You’ll see that show up in conversions, open rates and – yup – click-through rates. To find out if list fatigue – aka “overmailing” – is affecting your list, try mailing less often for a few weeks. If you see click-through rates start to tick up again, you may have found the problem. Want a more sophisticated solution? Offer people a way to control how often they hear from you. They’ll appreciate it. 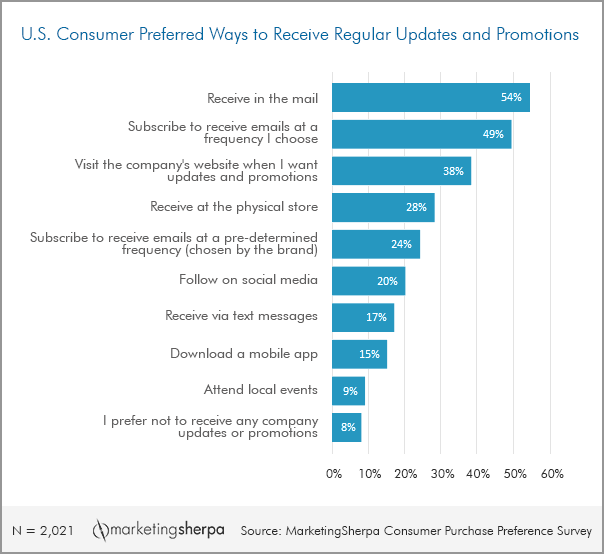 Notice how 49% of respondents said they want to “receive emails at the frequency I choose.” That’s about twice as many people who said they want to “subscribe to receive emails at a pre-determined frequency (chosen by the brand)”. 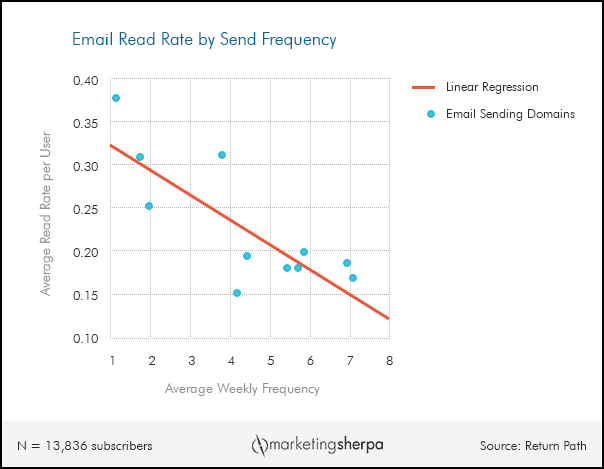 To give you an idea of how much send frequency can affect email response rates, here’s another chart from Marketing Sherpa. Sending more than four times a week had a devasting effect on read rates. It just about cut them in half. How long your emails are. 100 words? 1,000 words? The type of content you include. Photos? Articles? Cartoons? The formatting of your email messages. Text, or HTML? You get the idea. There are hundreds of things you could possibly test. Some of them will affect your click-through rates. But you’ll have to run some a/b tests to find out. If all else fails, you could just send out the same email again to your subscribers. This works best if you can segment out the people who did not click or open your email the first time around. Then resend the message only to those non-openers. No need to annoy the subscribers who clicked the first time, right? Not sure this is a good idea? Not sure it’s worth it? AlchemyWorx has a great case study that might just change your mind. Bonus for GetResponse users: Customize your send times with Perfect Timing. This is a GetResponse feature that personalizes your send times. That means every subscriber gets their email message at the most likely time they’ll open it. We tested this in-house not too long ago and saw a 20% lift in click-through rates across the 5,000 accounts we tried it on. Not sure you want to personalize your send times that much? Don’t want a 20% increase in clicks? Okay… then at least try the Time Travel feature. It’ll send your emails to your customers at any hour you specify, but in their time zone. So no more worrying that you’re mailing to some subscribers at their 2 am, and to other subscribers at their 2 pm. Click-through rates are important. But don’t put them ahead of the ultimate goal: conversions. It’s quite possible to make the mistake of boosting your click-through rates by a lot, only to end up with fewer sales. That’s not what you really want. The point was to get more clicks and more sales. So make sure that’s happening in every test you run. Back to you – Have you tried any of the tactics listed here to improve your email click-through rates? Share what’s worked – or hasn’t worked – in the comments.